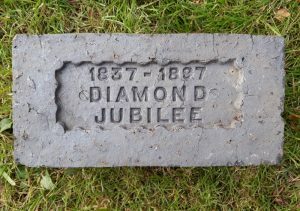 Unfortunately this is only half a tile as the other side is missing but importantly the the mark is clear and undamaged. 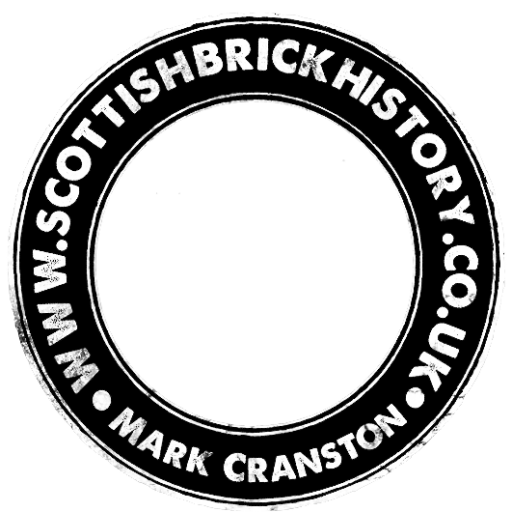 16/03/2015 – Graham Douglas, co author of Survey of Scottish brickmarks 1985 relates the following: – When carrying out a visit to the Inchcoonan / Errol works in c.1985 I was told an anecdote regarding Inchcoonan drainage tiles. 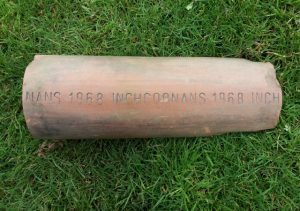 The works used to mark their tiles with Inchcoonan and then the year of manufacture. A farmer ordered a number of tiles for draining a field and was quoted a price. 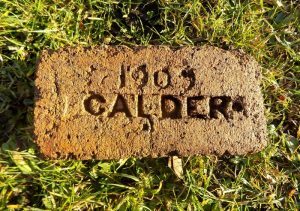 He then noticed the year stamp on the tiles which was the previous year and apparently before a large hike in the oil price. He demanded a reduction in price for the tiles as he said they would have been cheaper to make than ones following the oil price rise. 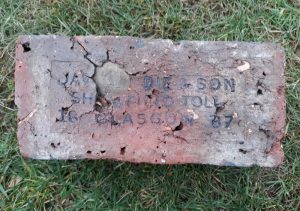 In the end he got his way but since that date ( unknown) Inchcoonans apparently never year stamped their tiles again. 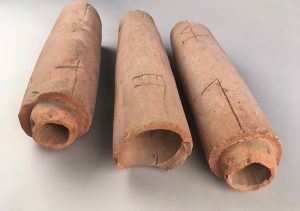 – Shrewd cookies these farmers!